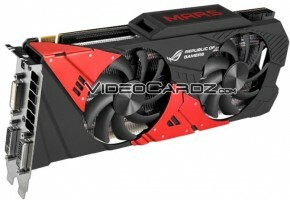 Taipei, Taiwan (19th November, 2013) — ASUS Republic of Gamers (ROG) today announced Mars 760, a graphics card that features two GeForce® GTX 760 graphics-processing units (GPUs) for the ultimate gaming performance. 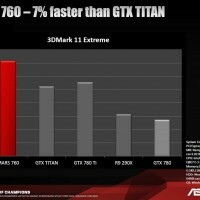 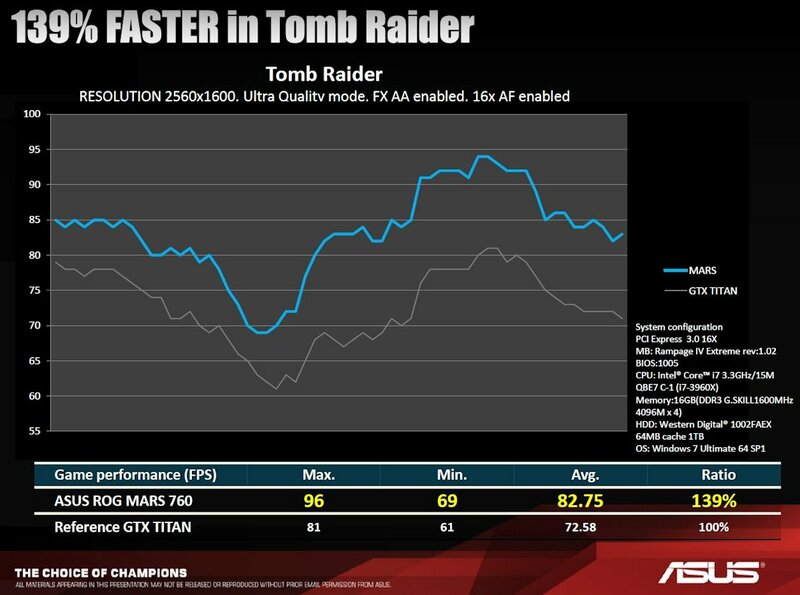 Mars 760 outpaces even GeForce GTX Titan — with game performance that’s up to 39% faster overall. 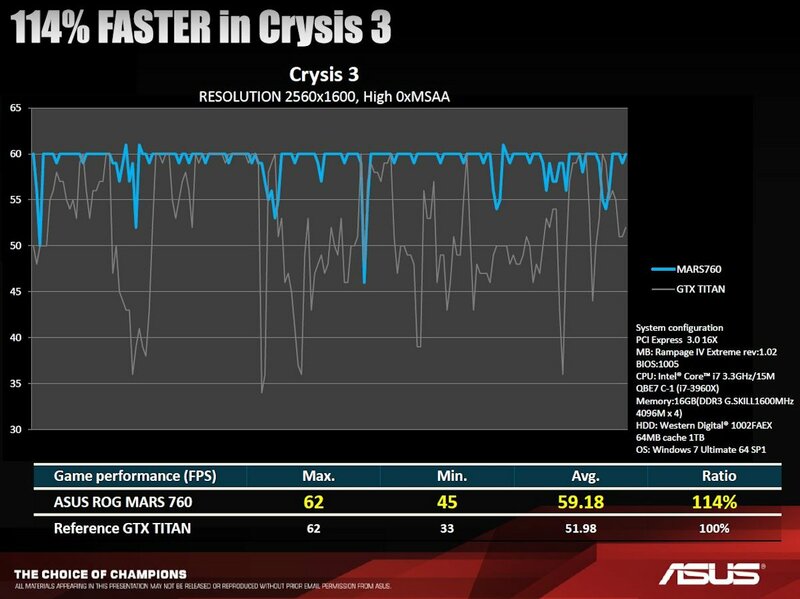 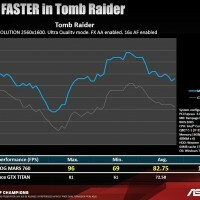 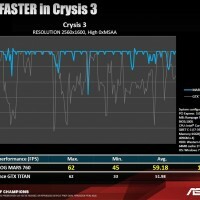 Compared with GeForce GTX Titan, Mars 760 runs Bioshock Infinite 6% faster, Crysis 3 an impressive 14% quicker and increases Tomb Raider’s performance by a remarkable 39%. 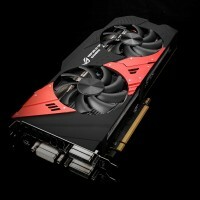 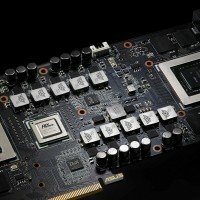 Mars 760 is a two-slot card that’s packed with many exclusive ASUS technologies including DirectCU II for 20%-cooler and vastly quieter operation, DIGI+ voltage-regulator module (VRM) for ultra-stable power delivery and GPU Tweak, an easy-to-use utility that lets users push the two GTX 760 GPUs to extremes — easily and safely. 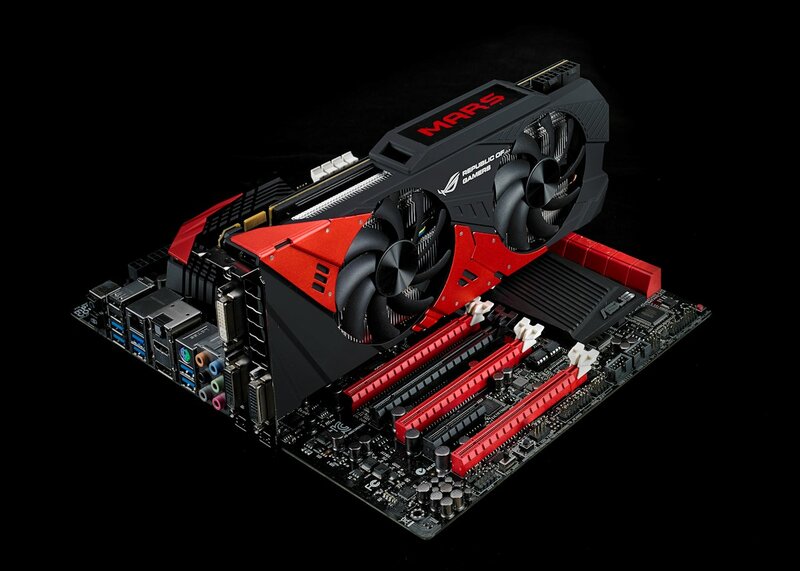 An attention-grabbing LED even illuminates as Mars 760 works. 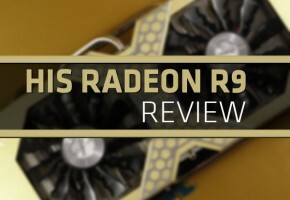 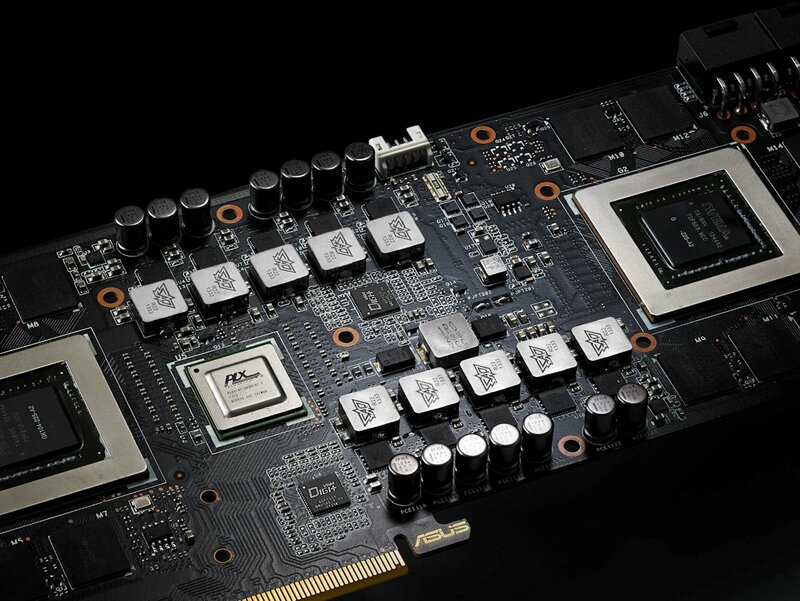 Combined with 4GB of GDDR5 video memory Mars 760 pumps visuals with incredibly high frame rates and no stutter, ensuring extremely smooth gameplay — even at very high resolutions, such as 2560×1600. 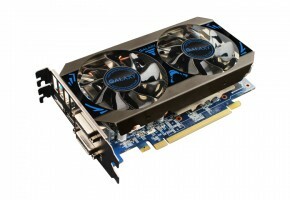 Exclusive DirectCU II technology puts 8 highly-conductive copper cooling pipes in direct contact with both GPUs. 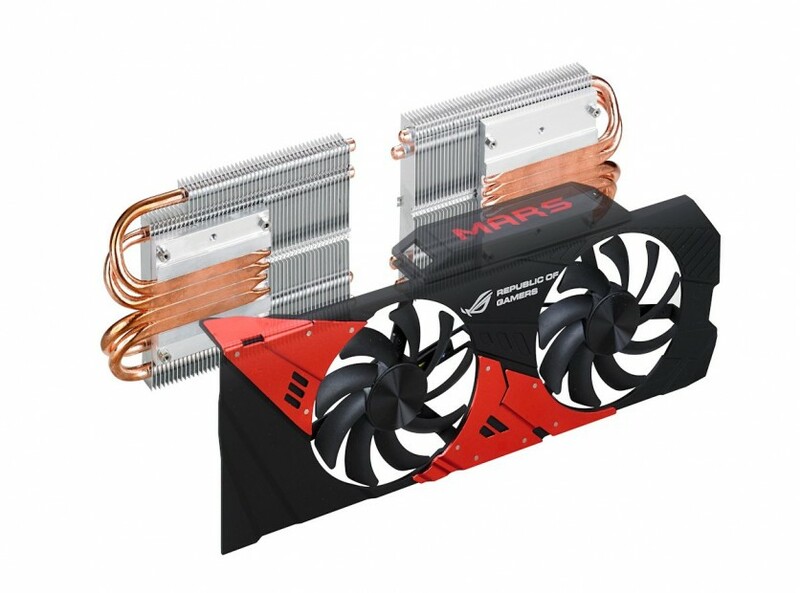 Thesepipes provide extremely efficient cooling — Mars 760 runs 20% cooler and vastly quieter than reference GeForce GTX 690 cards. 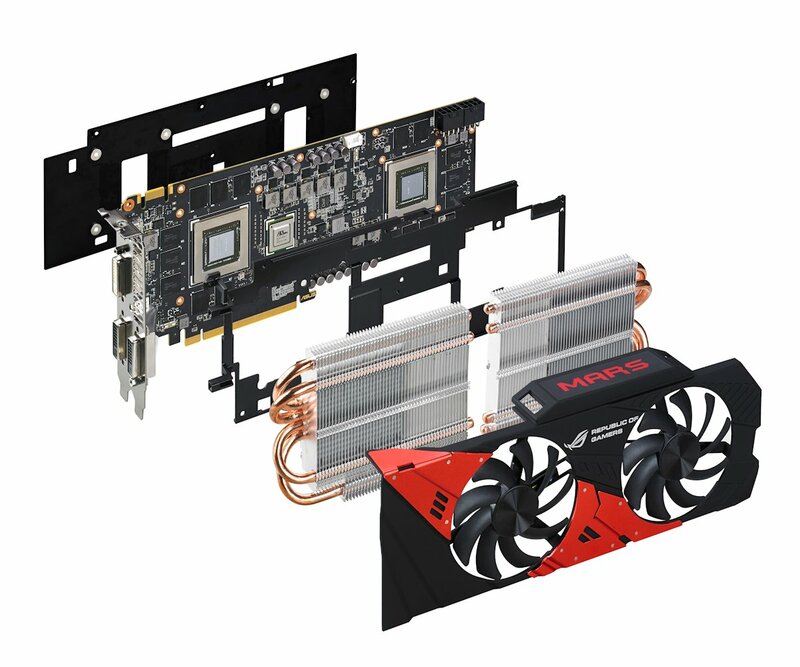 Dual 90mm dust-proof fans provide six times (6X) greater airflow than reference design. 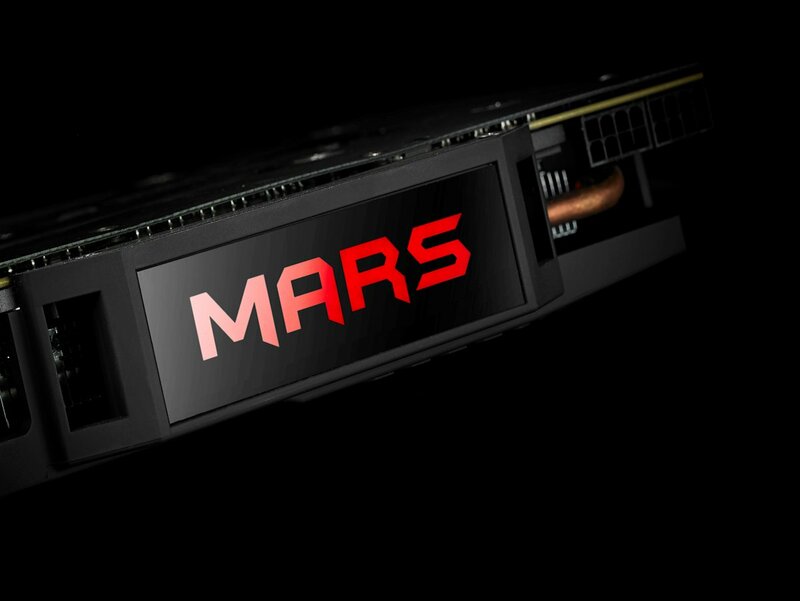 Mars 760 is equipped with ROG’s acclaimed DIGI+ voltage-regulation module (VRM), featuring a 12-phase power design that reduces power noise by 30% and enhances efficiency by 15%. 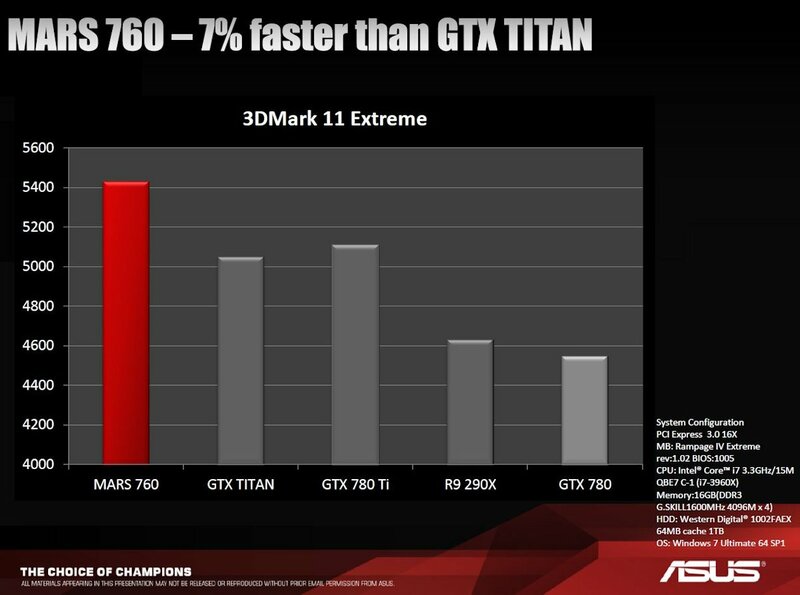 It also widens voltage-modulation tolerance and improves overall stability and longevity — by two-and-a-half times (2.5X) above reference. 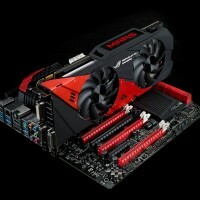 Japanese-made black metallic capacitors offer 20%-better temperature endurance for a lifespan that’s up to five times (5X) longer. 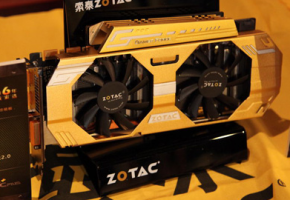 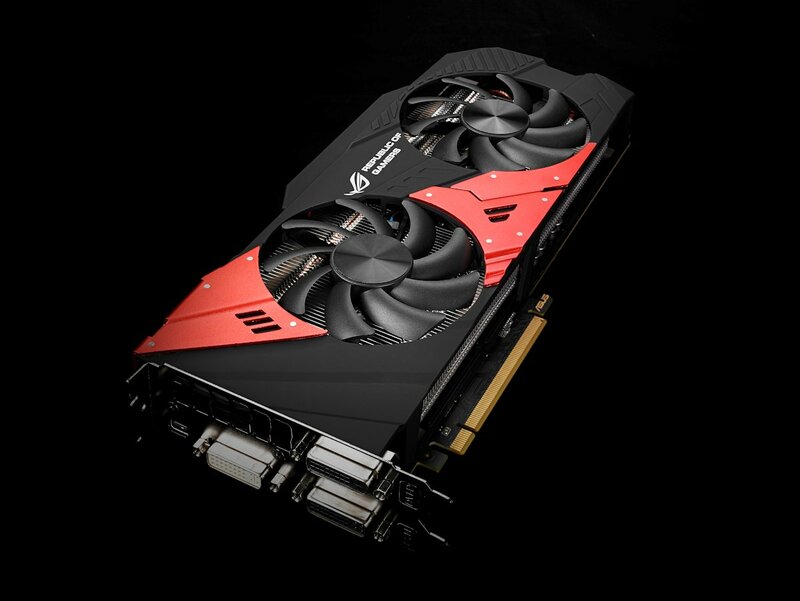 The new card is also built with extremely heard-wearing polymerized organic-semiconductor capacitors (POSCAPs) and has an aluminum backplate, further lowering power noise, increasing durability, enhancing overclocking possibilities and improving stability. 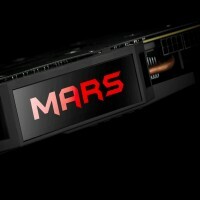 Mars 760 even looks great, with a gorgeous LED light that glows a glorious red and pulsates majestically when Mars 760 is active — a stunning reminder of awesome power at work. 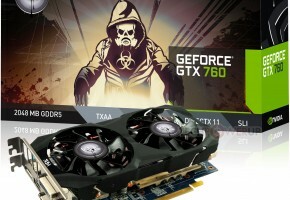 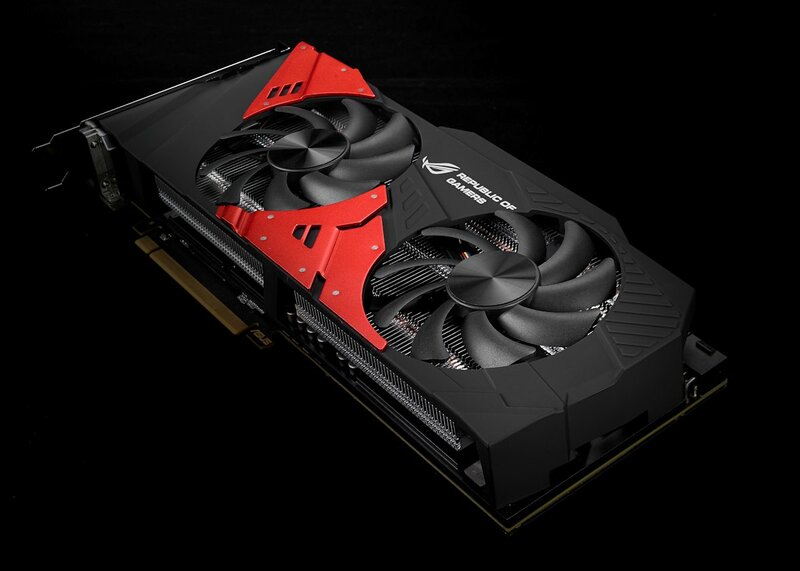 Mars 760 lets users push the two GTX 760 GPUs even further, with GPU Tweak — an exclusive tuning tool that allows quick, simple and safe control over video-memory clock speeds and voltages, cooling-fan speeds and power-consumption thresholds. 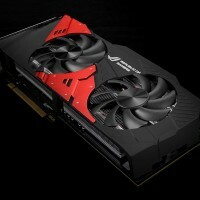 The ROG edition of GPU Tweak included with Mars 760 also enables detailed GPU load-line calibration and VRM-frequency tuning, allowing for the most extensive control and tweaking parameters for maximum overclocking potential — all adjusted via an attractive and easy-to-use graphical interface.